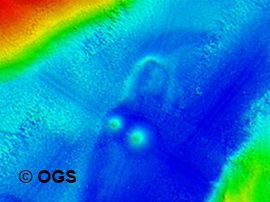 Overviews are compiled and maintained of available high resolution bathymetric survey data sets and of composite DTMs. A selection of these data sets is used internally with permission of the data owners for producing the EMODnet Digital Terrain Model (DTM) for the European sea regions. 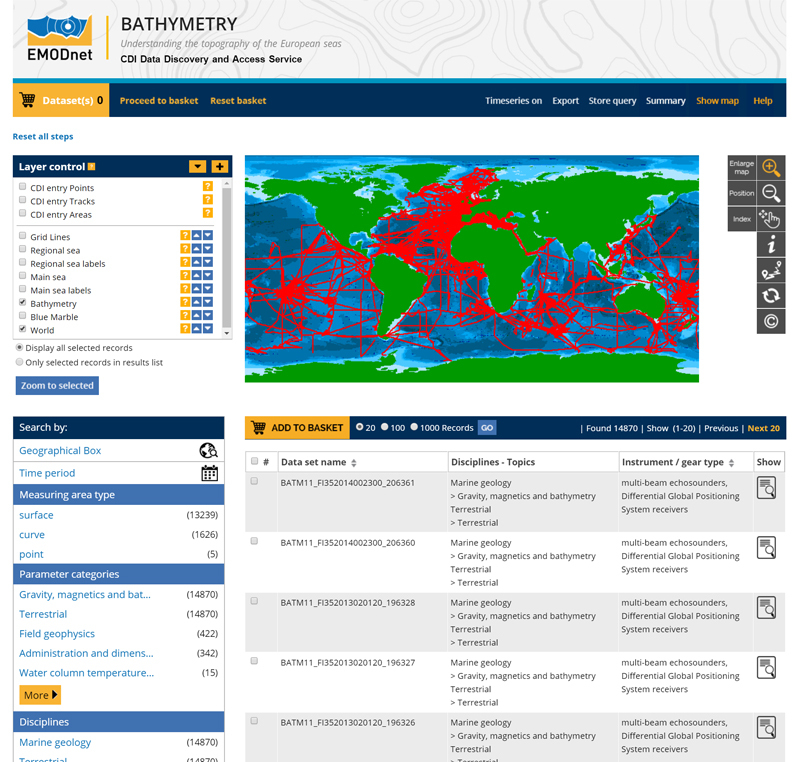 Bathymetric survey data: these are described by INSPIRE compliant metadata and included in the CDI Data Discovery and Access service as adopted and adapted for EMODnet Bathymetry from SeaDataNet, the leading network for marine data management in Europe. 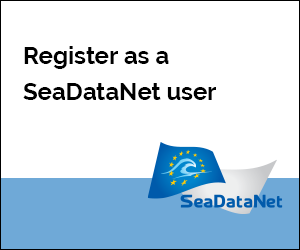 Note: registration in the SeaDataNet User Register is required for requesting access to data sets! 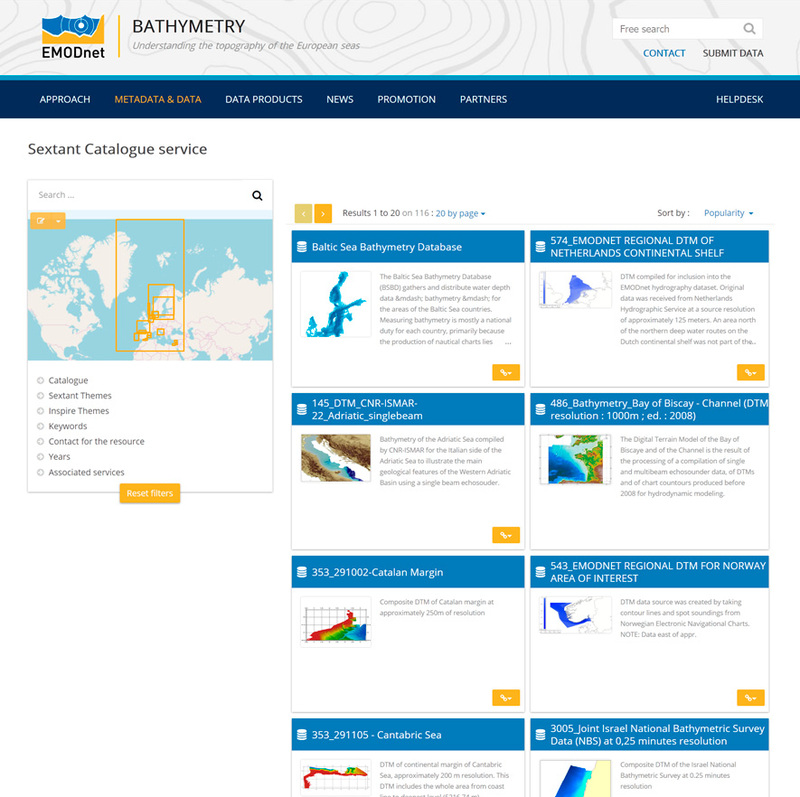 The CDI service gives users a highly detailed insight in the availability and geographical spreading of bathymetric survey data sets that are acquired and managed by an increasing group of data providers from government and research and for which users can request access for downloading. The CDI metadata are public domain and freely available for all users. However most of the data sets are not freely available and require negotiation with the data owners. The SeaDataNet CDI search, shopping and tracking mechanism is applied for identifying and requesting access to these background data sets from data providers. The process from search to getting access to requested data sets is illustrated and explained below. This allows users to retrieve data sets from the distributed data centres in a common way via one unique portal. The CDI query interface enables to search by a set of criteria. The selected data sets are listed. Geographical locations are indicated on a map. Clicking on the display icon retrieves the full metadata of the data set. This gives information on the what, where, when, how, and who of the data set. It also gives standardised information on the data access restrictions, that apply. The interface features a shopping mechanism, by which selected data sets can be included in a shopping basket. All users can freely query and browse in the CDI directory; however submitting requests for data access via the shopping basket requires that users are registered in the SeaDataNet central user register, thereby agreeing with the overall SeaDataNet User Licence. All data requests are forwarded automatically from the EMODnet Bathymetry portal to the relevant data providers. This process is controlled via the Request Status Manager (RSM) service at the portal, that communicates with the data providers. Users receive a confirmation e-mail of their data set requests and a link to the RSM service. By log-on to the RSM service users can check regularly the status of their requests and download data sets from the associated data providers, once access has been granted. On their turn, data providers can follow via the RSM service all transactions for their data sets online and can handle requests which might require their mediation. Each CDI metadata record includes a data access restriction tag. It indicates under which conditions the data set is accessable to users. Its values can vary from ‘unrestricted' to ‘no access' with a number of values in between. During registration every user will be qualified by its national NODC / Marine Data Centre with one or more SeaDataNet roles. 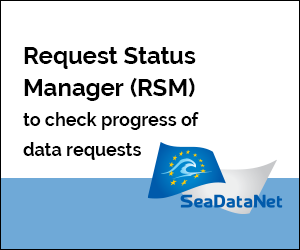 The RSM service combines for each data set request the given data access restriction with the role(s) of the user as registered in the SeaDataNet central user register. This determines per data set request, whether a user gets direct access automatically, whether it first has to be considered by the data centre, that therefore might contact the user, or that no access is given. Composite DTMs: these are described by INSPIRE compliant metadata and included in the Sextant Catalogue service. The EMODnet Digital Terrain Model is by preferrence based upon bathymetric survey data. However for a number of areas data providers have provided an alternative by contributing so-called composite DTMs which are then incorporated in the resulting EMODnet DTM. Important remark: the CDI and Sextant services deal with the survey data and composite DTMs that have been used as basis for the EMODnet Digital Terrain Model (DTM) of the European marine regions. 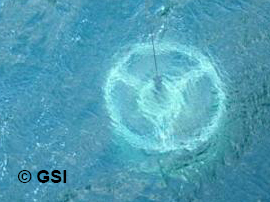 The DTM itself is available without any restriction from the Bathymetry Viewing and Download service.